Are you seeking to gain a greater mastery of your everyday existence? To do so, perhaps you should start at the very beginning of the alphabet. Clinical social worker R. R. Hayman has done just that to help individuals everywhere who are searching for more control over their lives. R. R. Hayman’s revolutionary approach to self-improvement is laid out, letter by letter, in her new book, Alphabet Advice for Adults. An inventive and uplifting free flow of practical advice, this easy-to-understand guide to better living leads you through the emotions that can sometimes hinder your psychological growth, and the refreshingly simple steps to expand your comfort zone. No matter how far down a personal path you may feel that you are, R.R. Hayman is here to assure you that it is always possible to take another look at the ABCs of life. It's is never too late to change your perspective, one alphabetical section of the book at a time. Imagine getting a new lease on life simply by considering the ABC's. Clinical Social Worker R.R. Hayman maintains that the first crucial step in changing behavior is the grasp the power of the twenty-six alphabet letters to influence how we view the world, and ourselves. Transforming your daily existence is actually as easy as A, B, C.
R. R. Hayman serves up advice from A to Z in Alphabet Advice for Adults: From the letters A to Z, introspective words come into being- creating a collection of inspriational writings. Organized in sections representing each letter in the alphabet, this moving and magnificently achievable guide to greater self-awareness enables anyone to reconsider every aspect of their lives, and just how much hold unhealthy emotions truly have on us. It's a perfect primer to a more meaningful tomorrow. "The 26 characters of the English language serve as springboards for life advice in this debut self-help guide. In a brief introduction, Hayman sets forth this collection's mission: "Each letter of the alphabet has words of wisdom to share, assembled in diverse writing sytles designed to give you, the reader, a morale boost and an extra dose of motivation to take steps toward improving your qaulity of life. " The contemplations that follow have headings ranging from "Awareness" to "To Zenith and Beyond," with essays, poetry and what the author terms "visual guided imagery" to offer insights into a more mindful, fulfilling existence. Sometimes a letter stands for a key word within the title: "Coming Home", for example, stands for "H" in this alphabetically organized book, with a four-paragraph essay on remaining grounded. Some letters merit repeating, with "O" for example, inspriring two entries: "Overcoming Obstacles", offering the advice to "search deep within yourself to find those abililties that will serve you well in the future, " and "Obligation means Commitment," a two-and-half musing that concludes, "To be kind to others is not a choice, it's a must." Hayman has created a charming "concept album" of a book that offers gentle, encouraging prompts for a proactive approach to self-improvement. Books are evaluated on a scale of 1 to 5, with 1 meaning “needs improvement” and 5 meaning “outstanding”. This scale is strictly to provide a point of reference, it is not a cumulative score and does not reflect ranking. Our system only recognizes numerals during this portion of logging evaluations. As a result, a “0” is used in place of “N/A” when the particular portion of the evaluation simply does not apply to the particular entry, based on the entry genre. For example, a book of poetry or a how to manual, would not necessarily have a “Plot and Story Appeal and may therefore receive a “0”. A to Z formats are always enjoyable, since the structure is so important to a book like this. It’s not easy to incorporate letters like X and Z, and the author does a terrific job of making those letters fit without jamming in an awkward entry for each. The cover image is excellent with the letters in white, conveying a sense that the letters will soon be ‘filled’ with meaning. Well done. The bolded words beginning with each chapter’s letter need to be a bit more consistent. In sections like X, there were a few instances of Xanadu that were not bolded. Otherwise, the method is excellent. Nice phrases throughout, and a natural and engaging writing voice. Author has taken great care to fill each section with strong and fresh insights, making this a teaching book, a book of smart advice for readers. 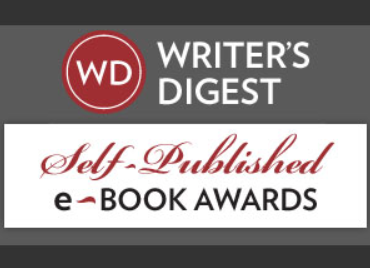 ‘D’ is a standout in the collection, with the advice of ‘Don’t discount your accomplishments,’ a strong and life-changing lesson, reminding readers to give themselves credit for what they HAVE done, instead of focusing on the endless pressure of what needs to be done. A strong take-away. Nice analogies throughout, and I loved the differing sizes of the chapters, to flow the reading along. Well done.